Used Philips MultiDiagnost Eleva For Sale. 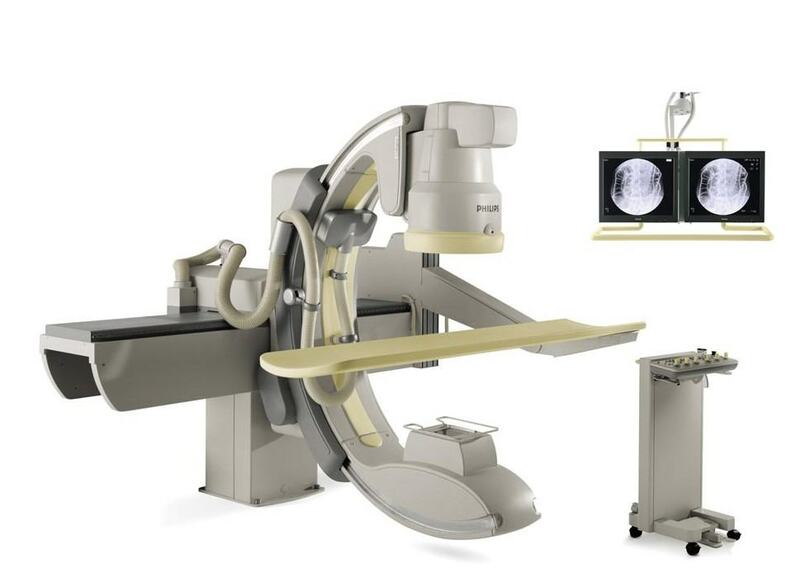 Refurbished, Pre-Owned & Reconditioned Fluoroscopy Equipment at Reasonable Prices. Used and Refurbished Radiology Equipment and X-Ray Equipment, Used and Refurbished Diagnostic Imaging Equipment, Used Cath Labs, Used C-Arms, Used MRI Systems, Used CT Scanners, Used PET Scanners, Used Nuclear Medicine Equipment, Used Mammography Equipment, Used Fluroscopy Equipment and Used Cardiology Equipment. Great innovation for multiple applications Providing superb flexibility, the MultiDiagnost Eleva gives you exceptional performance across a wide range of applications, yet meets the dedicated needs of each application. Designed to provide faster, more confident diagnoses, it combines a wide applicational range with revolutionary Eleva technology that adapts the system to your way of working. Based on open standards, it meets the needs of the IT department for seamless integration. Eleva concept - Unique technology which enables exam-, operator- and patient-related pre-sets to be programmed to each user's preferences, increasing efficiency and reducing potential operator error. Top-of-the-line Flat Detector or CCD based digital imaging chain - setting new standards for diagnostic image quality BodyGuard - Philips' exclusive anti-collision system, which increases patient safety and accessibility and also allows the machine to get as close as possible by sensing the location and size of the patient. 180° iso-centric C-arm rotation - Increases projection flexibility and enables superb rotational angiography Sterility - The C-arm is positioned beneath the patient table to ensure sterility in lateral projections (both AP and PA) A broad applicational range - From RF to vascular and interventional procedures. DoseWise Philips' unique approach to dose management, ensures the highest image quality while maintaining the lowest possible dose. ViewForum - The MultiDiagnost Eleva features ViewForum, Philips' integrated view and processing software that allows access to multimodality images and information at the workspot in each individual's preferred lay-out. CUSTOMerCARE service programs, give you the power of choice to optimize your clinical and financial results. Increased efficiency and throughput through ease of use and the revolutionary Eleva concept. Improved patient comfort with Philips' proven scan principle. The C-arm moves around your patients so they can remain stationary during all scan movements. Safety for your patients and staff through features like BodyGuard and DoseWise.